I empty my pockets—wallet, iphone, change—and pass my bag through the scanner. I say yes. I was at the Israeli embassy to renew my Israeli passport. I needed it to return to the Holy Land—that sacred and pockmarked land--one my homes. I would visit family, yes, but also join a delegation of Jews doing solidarity work with Palestinians in the West Bank. In Hebrew, the irony of the familiar questions hit more forcefully. Hebrew is my mother tongue, but waning usage does something naive and sometimes fruitful to my comprehension. I know he’s asking “Did you take something, knowingly or unknowingly that might not be yours?’” I hear: Everything you have, that is for you, is yours? “My land of Israel is beautiful and blooming. Who built and planted it? We all did! There is for us a country, the street is for us, the land is for us, this song is for us. I add: the dances are for us. And I did grow up believing it was for us, for me. The fruits at the market were for me to pick up smell and taste. The security was for me. The roads were for me to travel with my uncle, the archeological park was for us. So the gate and closure hours didn’t matter. The Roman ruins were for us, as we hopped the fence to walk down 2,000- year-old streets with disregard to the Palestinian villages that have survived in this frequently-hostile land for hundreds of years. The Romans are the ones who kicked us out anyway. That my students in the US have little connection to these enslaved and expelled Israelites of 2000 years ago still surprises me. It’s a testament to the diasporic focus of our Jewish pedagogy, and to the resilience of my Zionist upbringing. I am the granddaughter of Eastern European settlers who founded Kibbutz Beit Hashita, where my parents and siblings grew up, a place we call home. It is also where the Palestinian village of Shatta used to be. We spent holidays on the kibbutz, where pageants of song and dance originating in the 1930s still took shape in the agricultural fields and the dining hall. When we moved to Florida and then Hawaii, we continued celebrating and gathering with these particular Socialist Zionist symbols and Israeli folk dance choreographies. Increasingly our home began to mimic the Arab essence that is claimed as fundamentally Israeli. Hummus, tahini, olive oil zaatar, pita, baklava. And beside the Palestinian shepherd salad, the syncopated dabke and Yemenite steps, Turkish and Druz inspired melodies of early Hebrew songs and their synchronous dances. These kept us marinating in a Mediterranean Israeli identity, our distinction from the American Ashkenazi diaspora encroaching on us-- ameripoop-- treacherously symbolized by applesauce on latkes. We had the political freedom to enter and leave Israel and the US as we liked, though not the economic ability. And because even this produced a profound longing, I could later easily empathize with the indefinite and ongoing exile of Palestinians. Today, there are more than 8000 Israeli “folk” dances (most often not called “folk” any longer, but simply Israeli). 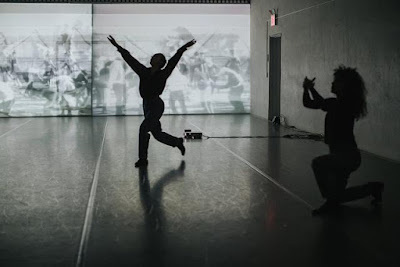 They have been choreographed and disseminated continuously since the 1930s, mainly in white Jewish spaces. I danced them in Israeli elementary school and with family at far flung “outposts”--the Altamonte Springs JCCs and the Ala Wai Golf Course Center in Honolulu. The Israeli folk dance movement was the enterprise of modern dancers, contemporaries of my grandparents, Jewish women of European descent, also known as Ashkenazi, who sought to become “Oriental” and native to their new surroundings. To embody Zionist/Israeli identity in Palestine, they appropriated steps from Arab Palestinians and Druze they observed in the valley where my family settled, and Yemenite Jews at relocation camps to which they were brought. The “new Hebrew dances” they made were used in the socialization of later Jewish migrations--Jews coming primarily from Muslim countries. They are known today as Mizrahim, literally meaning “Easterners,” treated as inferior by the Ashkenazi establishment. Today, the dances are choreographed mostly by Mizrahi men to Mizrahi pop songs--pejoratively called by some “songs of the central bus station.” The Mizrahim have been allowed to ascend within this social sphere, completing the self-orientalizing maneuver of the Israeli physicality. The dances still contain the vestiges of translated steps, steps that don’t just metaphorically mirror the appropriation of land but operate to justify the claim to land, to create and celebrate a national identity rooted in the spaces we depopulated and conquered. One deadly claim of 18th- and 19th-Century European anti-Semitism was that European Jews had no culture of their own, no connection to land. No blood on soil. No authentic folk. And this soullessness, true of homosexuals and gypsies too, justified their extermination. The chants at Charlottesville share a lineage with this race theory. They would concur--nothing you have is yours. European Zionist internalized these ideas and imagined that the recreation of ancient Israelite polity would solve the conundrum. But here we are still posing the question--Everything you have is yours?--while grasping for the sense of security, ownership and belonging we coveted, that we obtained, and continue to violently maintain with the choreography of bodies, bombs, and borders. So yes, this is all mine; it is on my person. Each time I remake this dance--and I do each time we perform--I understand a little more clearly what our next steps might be. To ask what decolonizing the dances could be not just as a metaphor, but alongside the fight for Mizrahim and Palestinians to have the space for their steps to survive and thrive. Hadar Ahuvia is a performer and choreographer who makes work grounded in physical research and political consciousness. Raised in the US and Israel, she trained at the San Francisco Conservatory of Dance and received a BA from Sarah Lawrence College. 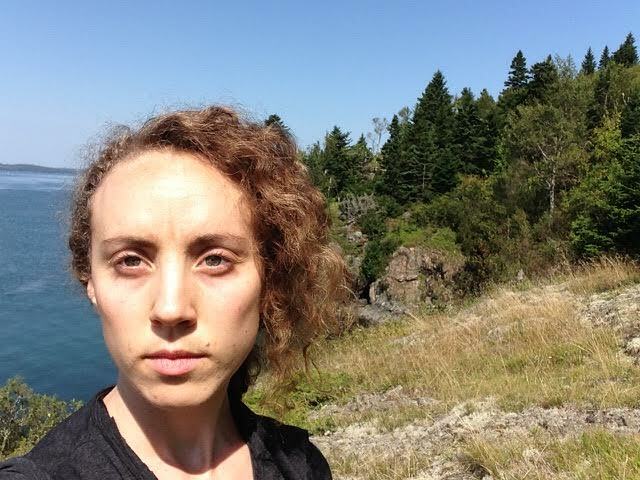 Her work has been presented at Judson, Dixon Place, CPR, BkSD, Danspace DraftWork, Movement Research Fall Festival, AUNTS, Catch, Roulette, NYLA and Eastport Art Center, and SPACE Gallery, Maine. Ahuvia has worked with Sara Rudner, Jill Sigman, Donna Uchizono, Molly Poerstel, Anna Sperber, Jon Kinzel, Stuart Shugg, Tatyana Tenenbaum, and Kathy Westwater. She is currently performing Reggie Wilson/Fist and Heel Performance Group. 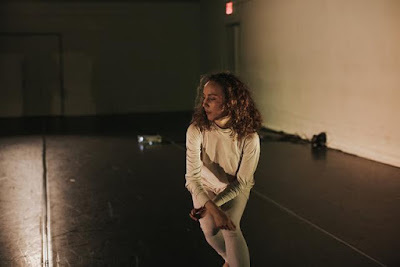 Ahuvia was 2012 DTW/NYLA Fresh Tracks Artist, a 2015 Movement Research AIR, a LABA Fellow at the 14th St. Y, and a 2016 Grace Paley Organizing Fellow at Jews for Racial and Economic Justice, and the recipient of 2017-18 CUNY Dance Initiative Residency. 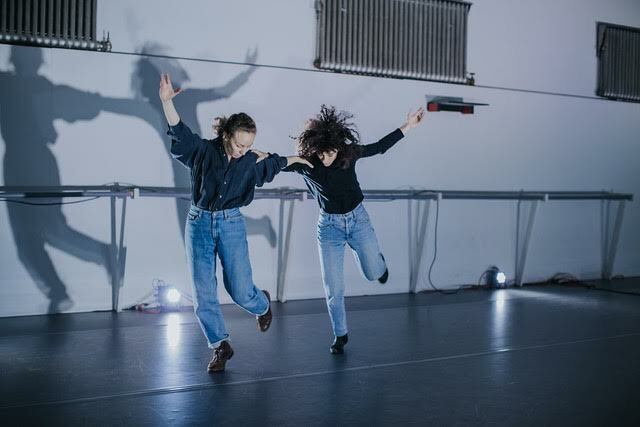 See Everything you have is yours?, presented by LABA: A Laboratory for Jewish Culture at 14th Street Y, Thursday, February 8 through Saturday, February 10, all at 8pm. For information and tickets, click here.